Czech negotation team, led by the Vice Minister of Education, discussed today the acceptance procedure with ESA team in the Paris HQ. 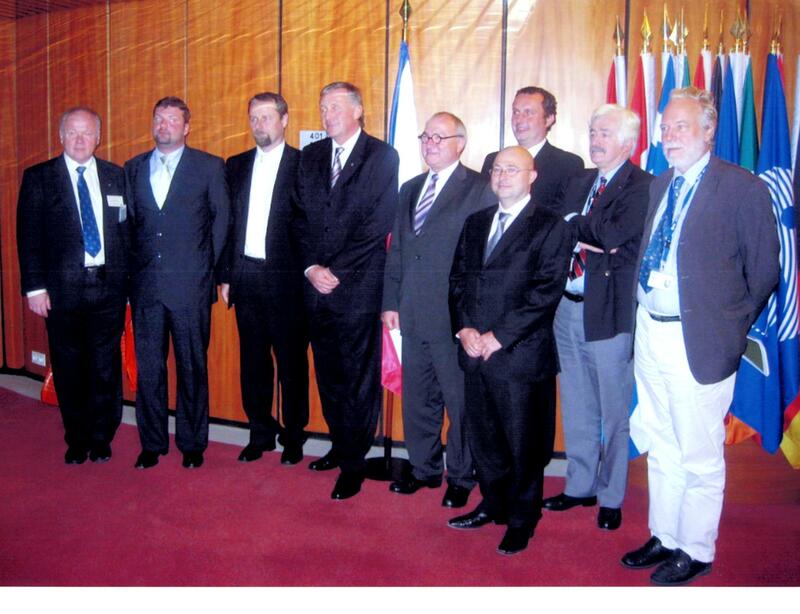 Czech Space Alliance leader participated in the role of an advisor of the Minister of Transport. The outcome of the negotiation was excellent, with a schedule which should make the Czech Republic full member on 1.1.2009. 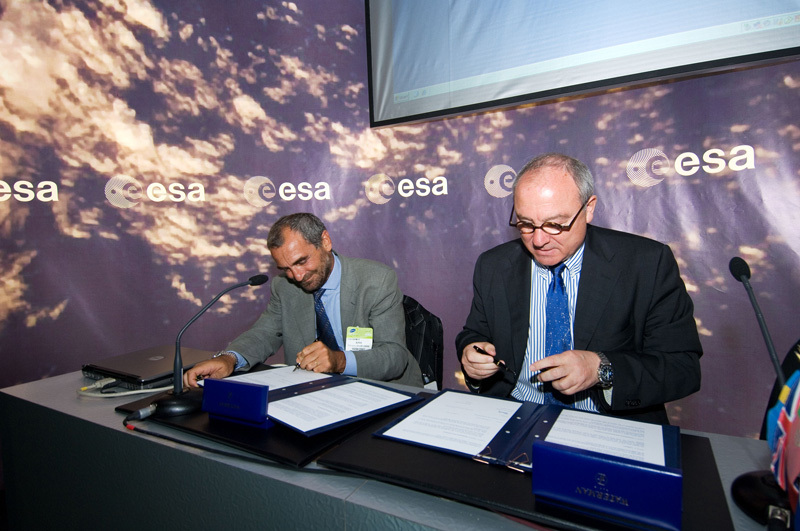 The initial minimum contribution to the ESA mandatory budget for 2009 should be of the order of 5.3 million Eur. With the support of Czechtrade and the Czech Ministry of Exterior, CSA organised a 2 day working visit to the technology development centre of ESA in Noordwijk. 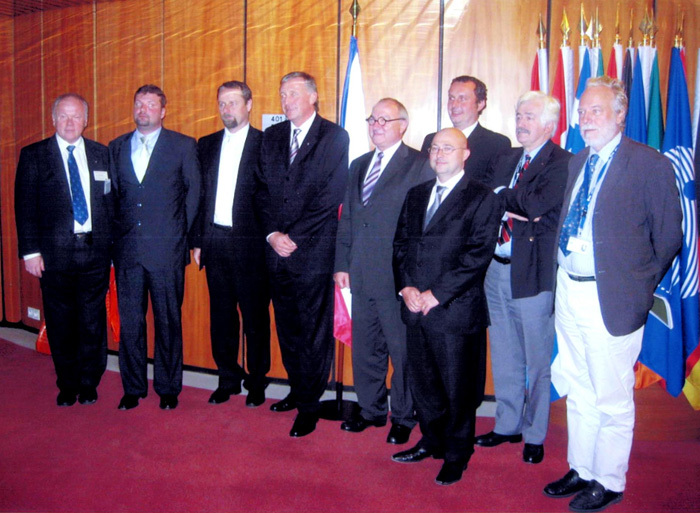 Six companies took part in the first working meetings between ESA and Czech aerospace industry. 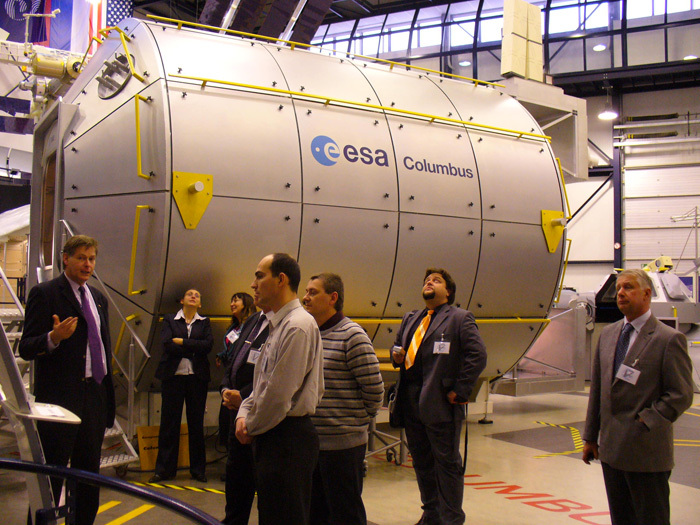 One day was dedicated to ESA, and included very informative presentations by ESTEC managers, presentations of individual Czech companies, and a visit to the International Space Station simulator. The other day was used to meet potential partner industries working for ESA. Among other, we had a very interesting and intensive 1/2 day with all key managers of Dutch Space where we discussed specific future projects which could lead to co-operation with our alliance members. We also met representatives from Vega, Booze Allen and exchanged information with several other ESA suppliers. Alliance members were very impressed with the interest shown by our hosts and the participation of so many key personnel from ESA and the companies. We thank them all for the time and helpfulness and look forward to future co-operation in ESA projects. Also thanks to Czechtrade and the Ministry of Exterior for their substantial support. The Czech government passed a substantial increase of the contributions to ESA, to give a clear and tangible signal, that we mean business and want to participate fully in ESA programmes. The funds will be in the PECS budget until we become full members, when it will be rolled over into the standard budget. This year (two months) the budget is doubled, in 2008 it will be 3.9 million Eur and in 2009 6.3 million Eur. The latter excedes the minimum contribution due for full membership. The Prime Minister with ESA DG, poised to move the Czech flag over to the ESA fold. Following the January 2007 application of the Czech Republic to accede to the ESA convention, i.e. become full ESA member, ESA carried out an audit of Czech companies and institutes, to asses their technological level. From the 23 private companies selected from the whole country, 8 are members of the Czech Space Alliance - namely Compotech, CSRC, Evolvsys, Frencken, Iguassu, Inter-Informatics and Relfex. Moreover, the ESA expert team visited the Frencken factory, supplier of Airbus, and were apparently very impressed. Whilst the audit report was not published as it was for internal ESA purposes, the feedback we got was very positive and accelerated the membership negotations. The Czech Prime Minister Topolanek, minister of industry, minister of transport, vice minister of exterior held talks with the DG, calling for acceleration of the process to acceede to the ESA convention.The DG was receptive and undertook to forward the urgency to the council. Czech Space Alliance also actively participated in the meeting, and raised the issue of limited access to EMITS information. A solution was found and the directorates informed the following day about how to deal with information requests from PECS countries. Following consistent initiatives of the Czech Space Alliance in promoting Czech space industry in international events, including the ESA SINEQUANET conferences, our partner organisations in the UK and Italy, had invited us to become one of the founding members of the pan-European consortium SME4space. SME4space is a European consortium consisting of a group of Small- and Medium-sized Enterprise (SME) Trade Associations, plus individual SME companies from ESA Member and Cooperating States that do not yet have any respective national association. Czech Space Alliance has been present at the act of inauguration of SME4space in the ESA pavilion at the Paris air-show in Le Bourget and the signature of a Memorandum of Agreement (MOA) by the ESA General Director M. J.J. Dordain and the SME4space chairman Mr. Giovanni Sylos Labini. The agreement will enable both parties to share information on the expectations and interests of European SMEs for space programmes and activities, and facilitate SME access to ESA programmes and space activities in general. As such, it will facilitate the access of SMEs to space activities, particularly to ESA programmes. ESA's intention is to derive the maximum benefit from innovative, dynamic and entrepreneurial European SMEs by drawing on their skills, expertise and cost-effectiveness for its programmes. Five Czech technology SMEs have joined their forces and resources to create the Czech Space Alliance, with the backing of Czechtrade, the export promotion agency of the Ministry of Trade and Industry. Three of the founding members already have a good track record in space business, as highlighted in the survey of the Czech industry carried out on behalf of by ESA by the French NODAL Consultancy in 2003. The other two have excellent references in aircraft industry and are aiming at widening their portfolio to space, in particular ESA business. See downloads for a description of their respective activities and the aims of the alliance. 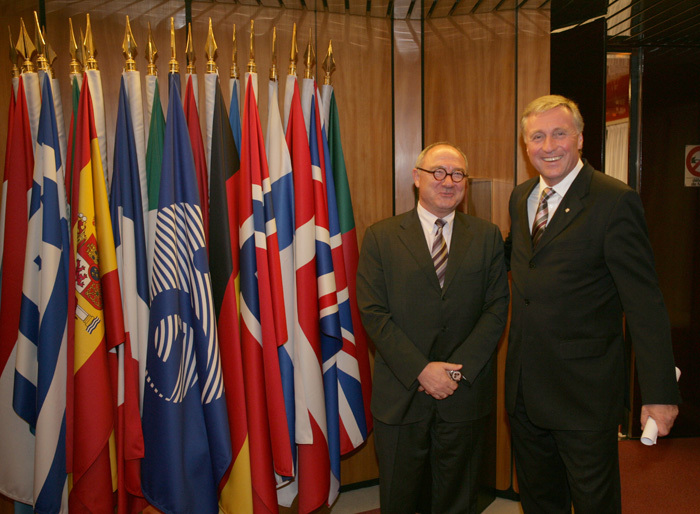 The creation of the alliance had been warmly welcome by various key ESA and European and overseas space industry representatives, including the ESA SME Unit. It is in line with development in other ESA member states and is seen as an important step towards the integration of the Czech Republic into ESA structures and procedures.